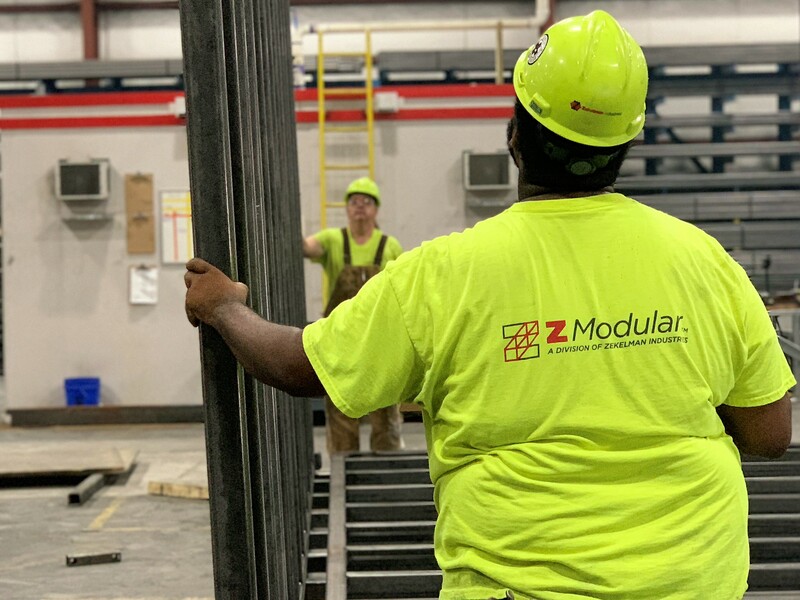 While modular construction continues to come to the forefront of modern construction practices, many people still have questions on where to start. To help demystify this efficient construction practice, let’s look at the main players you will interact with when you choose to build your next project with modular construction. Developer: the developer is responsible for assembling a design and construction team with experience in prefabrication and/ or modular construction. From the start, the developer and the team must approach the project feasibility analysis, planning, and design with the intent to construct the project as a modular development. Once it has been determined that there are potential efficiencies in developing the project using modular construction, the developer is also responsible for coordinating and informing permitting agencies, as well as investors regarding the intent to develop the proposed project as a modular development. Architect: the architect is responsible for analyzing the potential of the site to capitalize on the efficiencies of modular design and construction and coordinating with the modular builder to ensure that the design of the project meets their fabrication parameters. In addition, the architect plays a significant role in coordinating inspections with state and/or local permitting and inspection agencies. Construction Manager/ General Contractor: the proposed general contractor often provides construction management services, who should have modular construction experience, prior to entering into a construction contract. The construction manager is responsible for advising the developer during the procurement process for the modular builder so that understandings regarding fabrication process, guarantees, site conditions, and on-site monitoring are addressed early in the development process. The construction manager is also crucial in advising on construction schedule and pricing, and in coordinating with the modular builder to reduce redundancies and clarify off-site versus on-site scopes of work with an objective of maximizing efficiencies of off-site fabrication and reducing on-site construction. Modular Builder: the developer should seek the advice of the architect and construction manager to advise on the selection of the modular builder. Interests regarding financial, as well as production capacity and previous experience, are critical in evaluating and selecting the modular builder. During the pre-development and design process, the modular builder is responsible for providing the project team with an understanding of their fabrication parameters, particularly regarding materials, dimensions, and production schedule. The modular builder works closely with the architect, particularly regarding engineering drawings and specifications, and the process for factory inspections and permits. The modular builder also works closely with the general contractor regarding the logistics for shipping, delivering, and storing the modules. It is strongly recommended that the modular builder also include in its pricing an on-site job supervisor with the general contractor to resolve issues that may arise during the assembly and installation process. Investor/Lender: financial investors and lenders have a particular interest regarding risks prior to providing funding commitments to the project. For example, funders require demonstrable capacity of the modular builder and general contractor that may be evidenced through the ability for them to provide bonds and guarantees. In addition, funders are interested in the overall experience of the entire project team, and particularly in ways that the project team has significant experience in managing and completing complex projects. Inspection/ Permitting Agencies: many government agencies that regulate residential construction are on a learning curve for managing the jurisdictional purview’s for inspecting and permitting modular construction projects. Some government agencies structure their roles and responsibilities so that they are inspecting separate components of the overall construction –the modules, constructed off-site, are inspected in the factory by a state regulatory agency; on-site construction work is inspected by the local building department. However, team coordination of these jurisdictional concerns is critical from the beginning to address roles and liabilities; redundancies and/or miscommunication across review agencies could result in schedule delays and/or cost increases.